The Beautiful Baby and Captivating Critter contests are back by popular demand! Show off your beautiful baby or your fur, feathered or finned baby and help raise funds for great causes. Gamers for Giving is partnering with YpsiFest to bring back the Beautiful Baby contest. Founded in 2007, Gamer’s Outreach is a 501(c)(3) charity organization that provides equipment, technology, and software to help kids cope with treatment inside hospitals. The new and improved Captivating Critters contest is brought to you by the Buster Foundation. 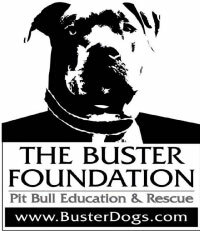 The Buster Foundation is a 501©3 charitable rescue group dedicated to helping, rehabilitating, and re-homeing the American Pit Bull Terrier, pit bull and bully breed mix dogs as well as the Mastiff breeds based out of Belleville, MI. Winners will receive a gift basket filled with wonderful prizes and gift cards donated by local businesses AND get to be the reining 2018 YpsiFest Beautiful Baby or Captivating Critter! They will get to wave to their fans alongside the YpsiFest Crew in the Ypsilanti Annual Fourth of July Parade, be featured on our Facebook and Website, and pass the title on during the 2019 Ypsilanti Heritage, Arts, and Entertainment Festival!! Once you're registered, your little cutie’s picture will be placed in a clear jug for all to place money in. All monies collected in the voting process will go to the respective nonprofit running it. The contestant who raises the most funds will be crowned the winner Sunday during the festival closing ceremonies!